Escape to one of Texas's most historic and scenic destinations with the timeshare units at Hyatt Wild Oak Ranch. 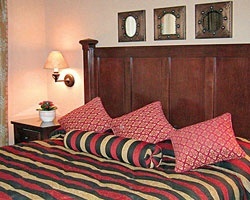 Find timeshare resales and rentals priced up to 70% lower than retail costs today. Travel back in time to the Wild West with the rustic and inviting accommodations at the Hyatt Wild Oak Ranch. Located in the old Texan city of San Antonio, the resort puts you close to all the attractions Southern Texas has to offer, including incredible historical sites, one-of-a-kind barbecue joints, and thrilling outdoor attractions. From the resort's sprawling swimming pools complete with waterslides, to its outdoor pavilion with fire pits, you'll have everything you need to enjoy your stay at this luxurious retreat from Hyatt. 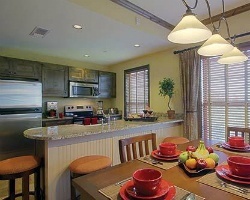 One, two, and three bedroom residences dot the resort's grounds, offering solutions for groups of all sizes. Whether you and your loved one are seeking to discover San Antonio's distinct nightlife and culture, or you're looking for a family-friendly retreat that will offer your kids the experience of a lifetime, this is it. In-unit amenities range from full kitchens to private outdoor spaces that allow maximum comfort and convenience from your first day there to your last. With modern furnishings and up-to-date entertainment systems, your party will be sure to enjoy their stay at this Hyatt resort San Antonio. Are you ready to lock down your very own accommodations at the Hyatt Wild Oak Ranch? Simply fill out the form on this page to learn more about timeshare ownership options at the resort, or call a representative directly at 1-877-815-4227 today. Purchasing a timeshare on the secondary market can result in the same great vacation ownership benefits for thousands less. Timeshare resales at the Hyatt Wild Oak Ranch San Antonio are sold by current owners, and not the resort itself. This means that timeshare accommodations are available to you for much less than they are through retail, sometimes at discounts of up to 70%. You can secure all the same benefits of being a timeshare owner at the Wild Oak Ranch without having to break the bank. Additionally, timeshare resales are available in the form of deeded fixed and floating weeks spread throughout the calendar year, offering you a great deal of variety when searching for accommodations. You can find the specific unit size, ownership interval, and price point that matches your vacation preferences without having to settle. A timeshare resale at the resort could also be your ticket into the Hyatt Residence Club and a world of new, exclusive vacation benefits. The Wild Oak Ranch is affiliated with the Hyatt Residence Club, a popular vacation club that embraces timeshare resale buyers. You can join the Hyatt Residence Club without facing many restrictions, allowing you to maximize your newfound ownership and earn exclusive perks and benefits. 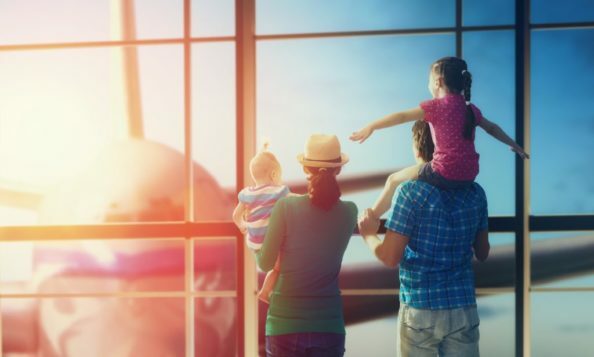 While you won't be able to use Hyatt Gold Passport points for stays at Hyatt hotels, you will be able to choose your ownership type with the option of Hyatt points or Hyatt weeks. You may also be able to make reservations at other Hyatt timeshare resorts around the globe. The Hyatt Wild Oak Ranch is also affiliated with Interval International, one of the world's largest timeshare exchange companies. Exchanging your timeshare with Interval can allow you to truly maximize your resale ownership—simply deposit your San Antonio accommodations and trade for stays at other affiliated resorts all over the world. The best part is, your Interval International membership will be covered by your timeshare maintenance fees as a Hyatt club member. The Hyatt Wild Oak Ranch holds an Elite rating distinction from Interval International for its excellent accommodations, amenities, and positive guest reviews. The Hyatt Wild Oak resort features a wide range of amenities and services that specialize in providing the best possible vacation experience. From the first day of your stay, you'll notice the resort's amenities offer a world of relaxation and fun. Head down to the resort's indoor/outdoor pool and waterslide or to J.B's Restaurant any time to enjoy a day of swimming, sunbathing, and fine dining. Visit the outdoor Wildflower Pavilion to enjoy the outdoor firepits and catch the resort's Movies Under the Stars events. 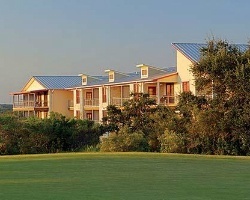 Don't forget to lounge in the lazy river or head next door to the Hill Country Golf Club and the Windflower Spa. Outside the resort, the San Antonio area offers much to discover. No trip to this Texan city is complete without stopping at the famous Alamo or exploring the San Antonio River Walk. Six Flags Fiesta Texas and SeaWorld San Antonio are perfect attractions for families. Check out the San Antonio Missions National Park and the Tower of the Americas for more things to do and see. Already Own at Hyatt Wild Oak Ranch?